Barbados isn’t all white sand and azure waves: it has some important political problems to clean up. There is the pressing issue of sewage leaking into a busy part of the south coast, although this year’s election may speed things along. Outside the affected area, the tap water is potable and the sea safe to swim in. Instead of the south, look to the wild and rugged east coast. This is where those who really know Barbados hang out: a vast swathe of national park with rocky shores, verdant hills and unspoilt beaches. Alongside villages such as Bathsheba and Belleplaine, there are a few independent hotels and private rentals strung out along the coast. For many, this area epitomises the Barbados of decades ago. “People don’t understand this coast. It’s not just a different demographic that comes here, but a different psychology – people who want beauty, scenery and peace,” says Paul Doyle, a Canadian businessman who took a chance 30 years ago when he bought the ruined Crane Hotel on the tip of the south-east coast. With its white sand beach, spa, bars and restaurants, The Crane is the only large-scale, purpose-built residential resort in this part of Barbados and is something of an institution. Doyle believes being on the less-fashionable side of the island is what makes it popular. William and Elizabeth Johnston, from Devon, bought a two-bedroom apartment at The Crane in 2014 and didn’t even consider the island’s more popular and touristy western side. Fractional property in a one-bedroom apartment at The Crane starts from $10,000 (£7,300) for a week in low season, with full ownership from around $600,000. Some properties have private pools, and most have direct sea views. There are also newer private residences available that are more contemporary in style than earlier properties, starting at $676,000 for two bedrooms. Plans for The Crane are ambitious, but Doyle is taking his vision and faith in the east coast a step further. He’s invested in another site that’s even more removed from the west coast glitz in terms of location and ambience. 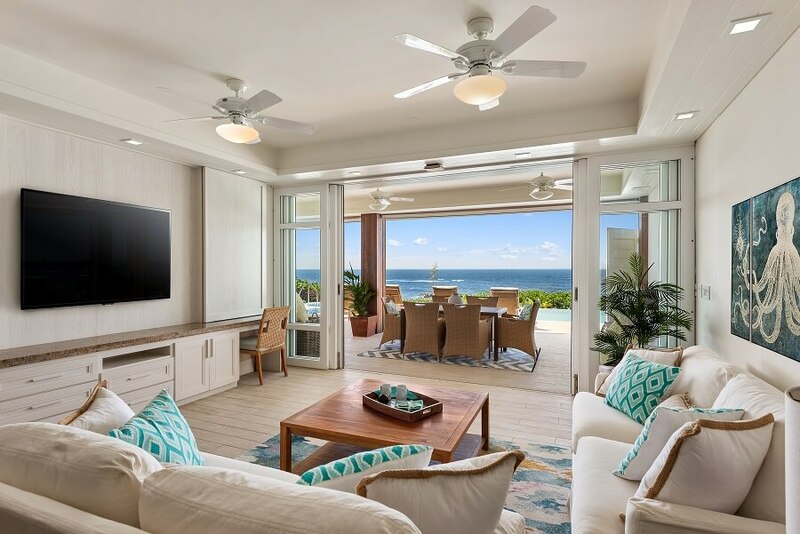 Beach Houses is a luxury development that has been designed for those who want the Barbados climate and natural beauty without the clubs, bars and super yachts. Inside a Beach Houses development property. The resort overlooks Skeete’s Bay, a small cove on the rocky eastern coastline, and will comprise 67 properties, a restaurant and store. The wild coastline is better for surfing than swimming, and there is a thriving rental market catering to people wanting a more outdoors, active holiday than the resorts of the western shores offer. Available properties are often “beach chic” or rustic in style, with one or two storeys with sea views and a pool. Tight building regulations mean development is strictly limited. Fakoory says beachfront homes in particular are rare because they can only be built on the footprint of existing properties. “We’ve seen a few sales in which buyers purchase a plot with an older house and redevelop the site into a luxury home,” she says. Terra Luxury, a partner of Knight Frank, is currently listing Malta, a three-bedroom villa on a beachfront plot of 26,700 sq ft, for $1.95 million, and Byways, which is also on the beachfront and has four bedrooms and a pool for $1.1 million. If you want something ready for the growing rental market, there’s Perfect 10, a large, six-bedroom property that is currently split into two apartments and overlooks fabulous Cattlewash beach, is $799,000. Fakoory says you’ll get fewer amenities but better value on the east coast. But prices in Barbados overall are still around 20 per cent below their 2007 peak. “There really is room to negotiate island-wide,” she says. Given time to solve its political and infrastructure issues, Barbados could still be the place to buy the Caribbean bolt-hole you’ve dreamt of. There’s a palpable desire there for change, so don’t write the island off just yet.